I'm the only one from our little family who wasn't born in Boston but I've grown to love it all the same. 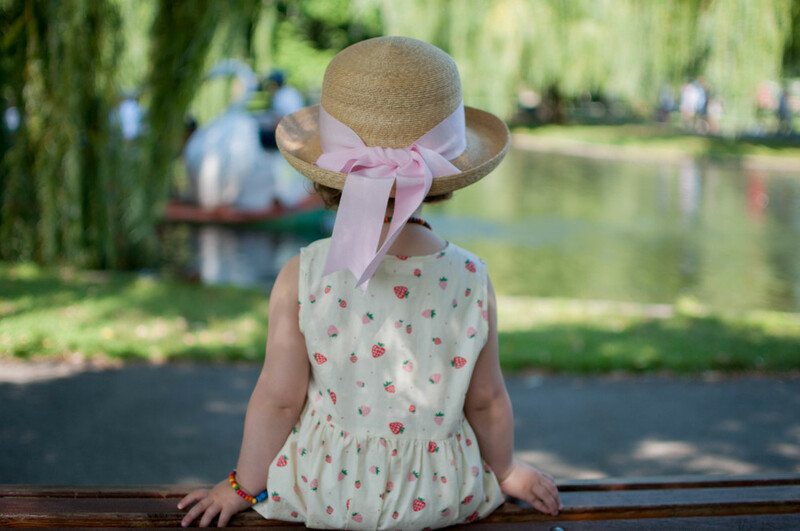 The ever enchanting Public Garden is home to our treasured Make Way for Ducklings statues and Swan Boats. If you're a local or just passing through, this park has universal appeal and is not to be missed. Beyond the parks and history, our city has a strong creative energy that is truly embraced by the community. As you can imagine, its always fun to discover new makers and brands that call Boston their home. 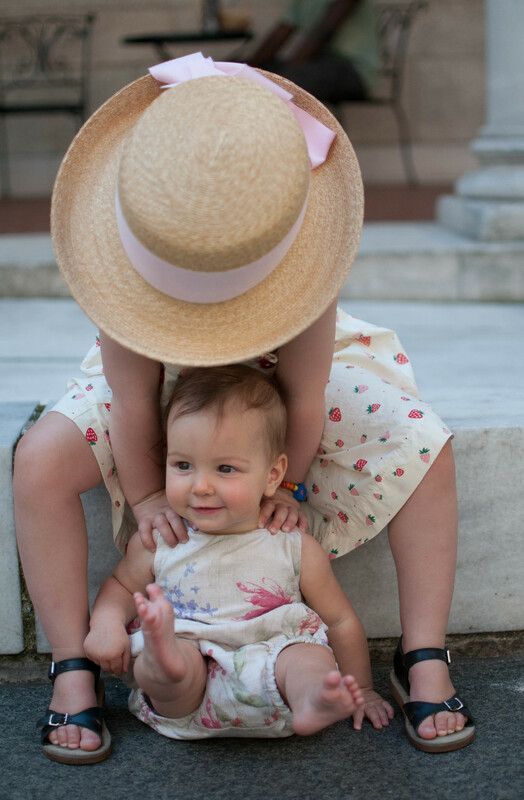 During our recent trip to Nantucket, we discovered Smiling Button, a playful children's label born and bred in Boston. I knew right away we'd be devout fans. Adorable prints paired with classic styling make for timeless pieces. Our little lady never stops and this day was no exception. From the park to the library, her dancing feet were happy all day in our favorite summer shoes which were designed and manufactured in Pennsylvania by Zimmerman. Read more about our admiration for this shoe manufacturer in my Endless Summer and Little Wanderer posts. Well hello there Mila! This little peanut knew nothing but snow for the first few months of her life and is happy to be spending her summer in sleeveless rompers. We occasionally run across wonderful handmade labels on Instagram and have fallen hard for Seababy. Moriah makes precious items from vintage and high quality fabrics. I just love that this little romper is fully lined and has an adjustable back tie that allows it to grow with the child. Elise's Peter Beaton hat (as mentioned in a previous post), is another born in Massachusetts label. It now seems to be her go to hat for sunny adventures.